Posted on Wednesday, March 28th, 2012 at 2:45 am by Ty Anderson. Today is Opening Day for Major League Baseball and a national holiday in the Anderson house. It’s a big deal. It marks the start of Spring in my opinion. I realize we have an international audience here at the Newswire but I can’t help it… it’s time for some baseball and for once my favorite team opens the season. The crazy thing is that the opening day of America’s past time occurs in Japan this year. I’m wearing an A’s jersey right now because I’m so stinking excited. It won’t last however because the A’s will be terrible. But who cares! It’s baseball! I don’t talk about it ever but it goes with the previous paragraph. 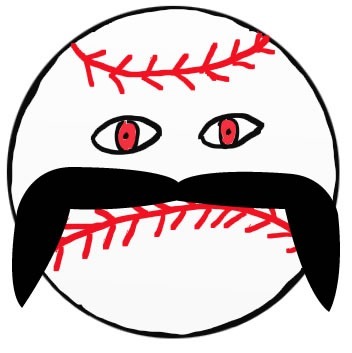 I coach my son’s 3rd grade baseball team. It is some of the most fun I have all week. These boys are enthusiastic and crazy about baseball. This is my third year coaching them and we do not have a winning record. I think we have been playing 7th graders judging by the size of these kids. But this year I have hope. I ran across this bat that teaches the boys proper swing mechanics. And boy, it does work! It works so well we have dubbed it the magic bat. It has turned one of the lesser hitters on our team into one of the top 4 or 5 hitters (we have 13 on the team). A couple of weeks ago we played a pre-season “seeding” game. As luck would have it, we played against the team that won our league last year. We finished second-to-last. You never know what’s going to happen when play the game so I was anxious and nervous as we took the field. I’m happy to say that, thanks to the magic bat, my ball players hit their way to 10-10 tie after 5 innings. Typically there are not any ties in baseball but this was treated as a scrimmage and we were forced to stop play after 5 innings. Had it not been for an inning of fielding that resembled the Bad News Bears, we would have one the game outright 10-5. Our opening day will be in the first week of April. Please bear with me as I’ll most likely be unable to prevent myself from talking baseball now and then. In case you are curious, the image above is Mr. Baseball. We discuss Mr. Baseball often during practices and games. Baseball is fun but Mr. Baseball cannot be trusted. He is not a ball player’s friend. Maybe it’s the eyes… or the mustache… or both. Can Windows 8 tablets compete with the iPad? Why can’t the Windows 8 start screen look like this?